When you open your first practice, chances are that money will be extremely tight. You may be tempted to “go it alone” and wait until business is booming before you start adding staff. In fact, according to one survey, nearly 30 percent of new DCs open a solo practice with no staff. If you practice alone and someone accuses you of malpractice, you will have a hard time proving your innocence – because there are no other witnesses in your practice. You won’t have a CA who could say, “When Mr. Jones left the office he was perfectly fine.”Â If you are a female DC, issues of personal safety also suggest that you should never practice alone. If you are a male doctor, one female patient accusing you of inappropriate touching (or worse) can ruin your reputation for life. It doesn’t matter if the accusation is true or not, you will still have to face your state’s board of examiners. You may have to deal with the police. Then there is the press, who live in a world filled with stories of football coaches, priests, and others who abuse the people they are supposed to be helping. Even if you prove yourself innocent, the public may remain unconvinced. Your years in college and hard work could be for nothing. You can prevent this by having a CA. Another survey statistic to consider is this: One-fifth of graduates work as associates. While getting experience is wise, most associateships fail. You’ve heard of the “associateship from Hell,” “associate jail,” etc. Most of the stories are true.Â You certainly can benefit from working as an associate to a good mentoring doctor. There are some very good ones in the profession. However, as any new practice coach can attest, the majority of doctors moving into private practice tell horror stories about their associateships. Therefore, if you are thinking about becoming an associate, you need to know how to find a good position. In the right one, the mentoring DC will guide and teach you. A new-practice coach can help you in your search.Â One fifth of DCs do make the right move and and start a solo practice with a CA. Whenever someone establishes a solo practice, he or she should have a professional new-practice coach. There are hundreds of things you need to know when starting a practice. You’ve heard the saying, “Don’t pay the ‘dumb tax. '” While it isn’t really a tax, it is the amount of money you will waste by making mistakes. When you pay the dumb tax, you never get your money back. If you start a practice without a new-practice coach, expect to pay a lot in dumb taxes.Â Slightly less than 10 percent of new DCs join an existing practice with a more experienced doctor. Sometimes, teaming with a veteran DC can be a good option, but most of the time it isn’t. New doctors who join an experienced practitioner as independent contractors (ICs) usually regret it. You should be aware that most IC arrangements blow up with both parties going their separate ways – and usually with a loss of friendship.Â A new-practice coach can help you enter an IC relationship that is successful for both parties. As a benefit, you will keep your friend as a friend.Â Another 10 percent of new DCs join a multidisciplinary practice. The multidisciplinary model can be enjoyable. Working with other medical professionals is enlightening, you can learn a lot, and your patients are taken care of in a “one-stop-shop.” However, be careful: Many multidisciplinary practices are formed to bypass existing laws and bill Medicare for non- Medicare reimbursable fees, among other things. If the practice you are considering is operating dishonestly, the person lowest on the totem pole (who will be you), is the one who may be at most risk of liability. 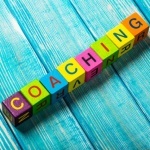 Here again, you can benefit from hiring a new-practice coach to guide you through the complexities of deter- mining what is best for you, what is legal, what is illegal, what to do, and what to avoid.Â In another survey, more that 80 percent of chiropractic students said they would seek advice from a new- practice consultant. The survey then asked the students to name three chiropractic consultants who specialized in starting a practice. Fewer than 3 percent of the students were able to name one. Research new-practice consultants as you go through school. Don’t follow the crowd. Investigate several firms and see what each has to offer. Talk to their clients. Investigate online practice starting firms; they usually cost less. By working with an expert, you can avoid making common efforts and get off on the right foot instead.